E commerce is the ‘In thing’ nowadays. This concept has enabled the ‘Markets’ to shrink to computer! YES this revolutionary concept has enabled us to bring power of buying and selling in the hands of the computer users. 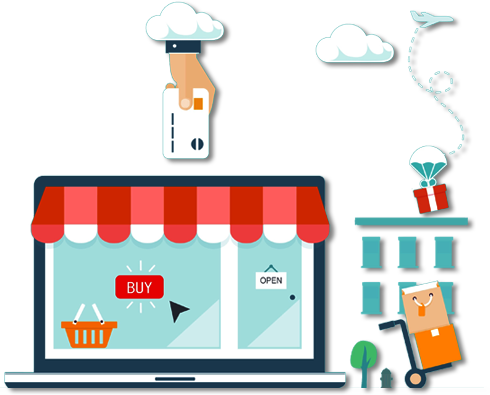 The e-commerce websites produced by us are vehicular in bringing about this change. ITPL has great expertise in providing these kinds of websites so that they are able to establish a good connection with the sellers. The base of good e-commerce platform is a reliable and secure platform for payments, and we guarantee that! This has further strengthened the position of ITPL as a strong Web Development Company in Delhi that caters to not only Indian, but international markets as well. What is so unique about ITPL’s e-commerce Developments? Our driving force is that the navigation should be easy with user friendly aspects. A simple navigation can motivate the users to process the desired action completely. We not only work for the present, but for the future so that in case anyone wants to make any changes in the future can use the codes that are properly commented. This eases out the scope and w taken care of in the style sheets.